The Seattle jazz community is mourning the loss of David Marriott, Sr., who passed away on April 30. The father of trumpeter Thomas Marriott and his brother, trombonist David Marriott, Jr., along with daughter Rebecca Marriott, David Sr. was a strong civic presence in Seattle and pillar of the jazz community for many years. While the parents of three students in the Garfield High School jazz program, David and Helen virtually redefined the potential for jazz education fundraising, establishing a level that remains the model to this day. David and Helen Marriott have been familiar faces in jazz audiences for many years, supporting the community both as jazz fans and donors, and frequently offering their Queen Anne home for fundraising events. David was a legend in the field of journalism and public relations, with a long and distinguished career. 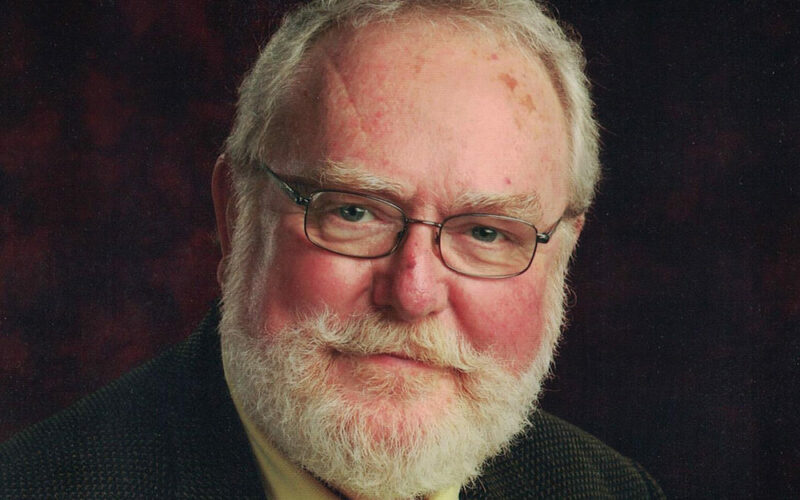 He was a past president of the Earshot Jazz board of trustees, a member of the University of Washington School of Music Visiting Committee, and was deeply involved in the Centrum Foundation and the Jazz Port Townsend Festival. David Sr. is survived by his wife, Helen, their daughter Rebecca, sons David Jr. and Thomas, along with Thomas’ wife Lisa Chick and their three children. The community came together on May 14 at St. Anne’s Church and Tula’s Jazz Club to express condolences to Helen and the Marriott family. We will all miss this fine gentleman bebopper, father, grandfather, and community leader, who was a personal friend to all of us for many years.